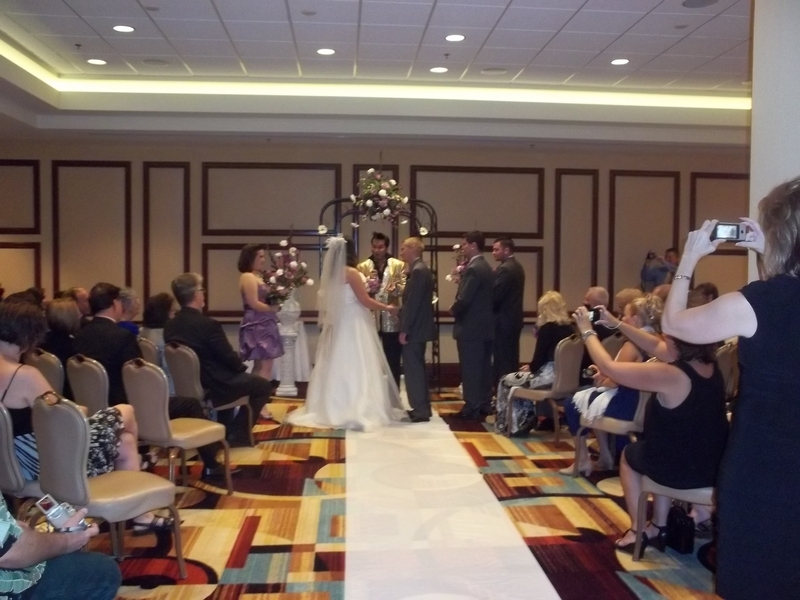 Let your Las Vegas hotel penthouse or Suite be the location for your Wedding, Renewal or Commitment Ceremony. 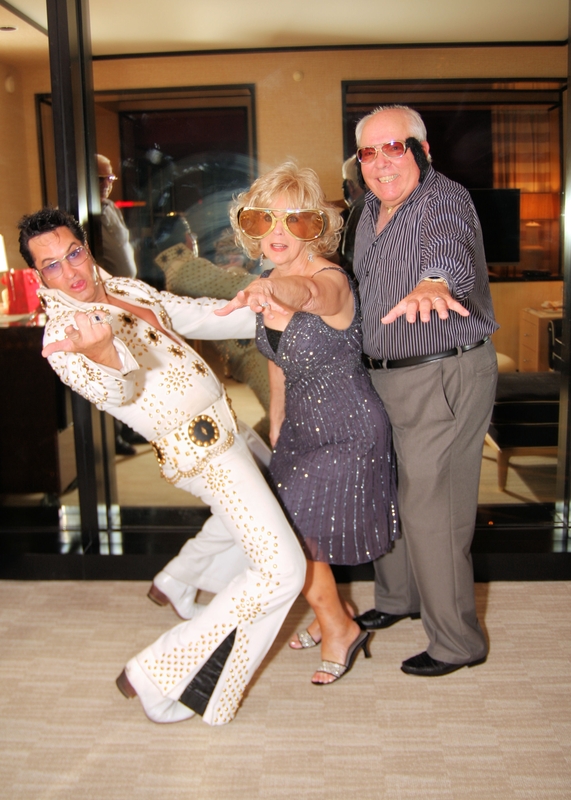 Eat,Drink and be Marry …….with Las Vegas first and formost Elvis Reverend and official Elvis of Las Vegas for over 19 years, Las Vegas icon Jesse Garon. 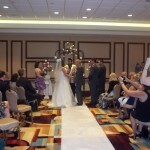 This Wedding on Wheels arrives directly to your Las Vegas Hotel Penthouse, Suite, or other unique wedding location ready to join you and yours for life in a beautiful, romantic and memorable ceremony. 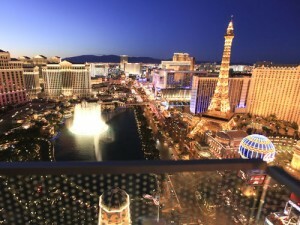 Las Vegas is known worldwide for its unique and glamorous accommodations ……fit for a KING. Picture perfect, and private, your friends and family can relax and enjoy this very special occasion from the comforts of your plush suite. Elvis himselvis will arrive at your location to preside over your ceremony. It would not be a Vegas wedding without some music from King as he serenades you and yours to two traditional Elvis tunes. Customize your special day with our consultants to get the best quality and price on all our Ala Cart services. Wedding bouquets and flowers, Professional photography, DVD, Cakes and even DJ services will make the party a legendary one your quest will be talking about for years. 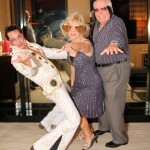 Meet Elvis himselvis at your hotel suite or location to be Wed or Renew your vows with the King of Rock and Roll. Add any of the below ala carte services to your Suite Elvis experience above. Save money by doing your own videos, pictures and flowers or we’ll be happy to provide these services for you a la carte. Professional Photographer starting at $149.00 Includes over 80 poses and 10 high resolution images of your choice retouched by the photographer: suitable for prints up to 12 x 18 Ultra high quality or 36 x 48 normal quality. Add $149.00 For Commemorative DVD of your ceremony to show your friends and family. Includes a Las Vegas leader and featuring HD camera and sound. Complete with Candid and behind the scenes footage of your special day. Add $75.00 for 2 songs sung by Elvis and wedding march. For the King and all the KINGs men. Visions of the King. Not only was Elvis the King of Rock but also Style. These glasses have come to resemble Elvis as much as his Pink Cadillac, TCB necklaces, swiveling hips and snarled lips. Elvis often gave away his glasses and jewelry to close friend and fans throughout his life. These glasses are exact replicas of Kings made famous in the 70’s and come in silver frames and multicolored glasses. For the sideburn challenged men and women out there. These glasses are exact replicas of the Kings just like the ones above except these were made just for the side burned challenged fans of the king. 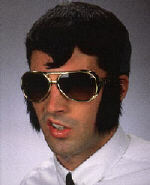 With sideburns attached these glasses are surly to enhance your likeness to the king. A sure hit and great for all your photos and friends . Silver frames multi colored glasses. Photos taken by our Professional Las Vegas photographer ( 72 poses ), 10 high resolution images of your choice retouched by the photographer: suitable for prints up to 12 x 18 Ultra high quality or 36 x 48 normal quality. Photos taken by our Professional Las Vegas photographer ( 48 poses ), 10 high resolution images of your choice retouched by the photographer: suitable for prints up to 12 x 18 Ultra high quality or 36 x 48 normal quality. Photos taken by our Professional Las Vegas photographer ( 48 poses ), includes 10 high resolution images of your choice retouched by the photographer: suitable for prints up to 12 x 18 Ultra high quality or 36 x 48 normal quality. 50% due at Booking. Remainder due on date of event. Book your Suite Elvis Experience now!